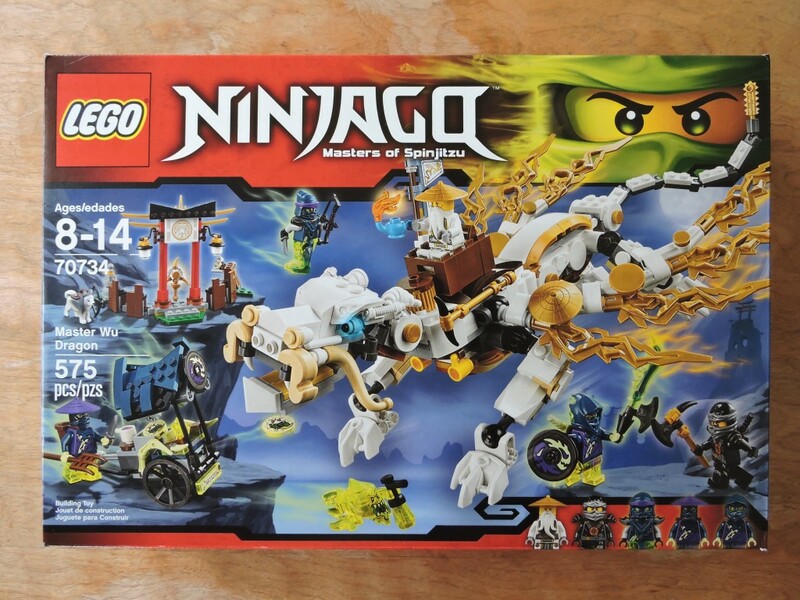 I don’t buy many Ninjago sets. I appreciate the models, but only the large sets seem to appeal to me and I’ve yet to buy any. 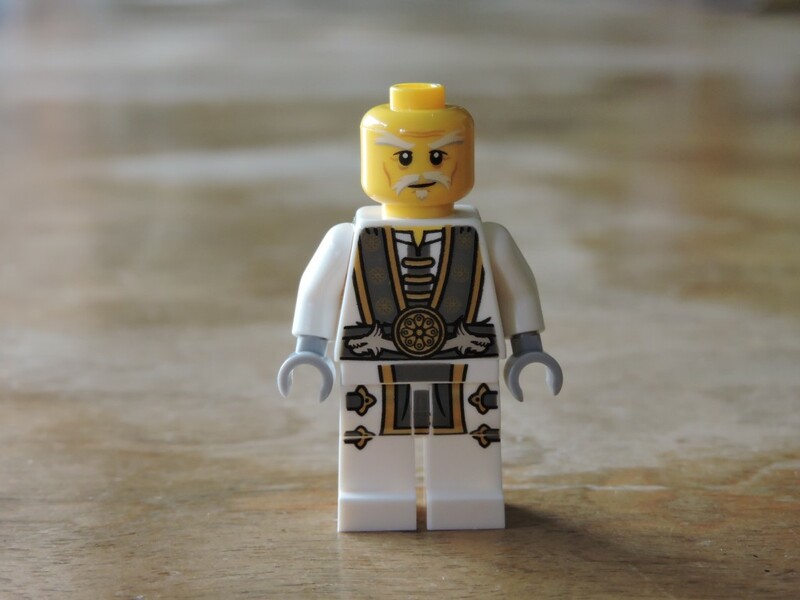 This new range of ghost warriors has me sitting up and taking notice though. Striking color palettes and undead dragons galore! 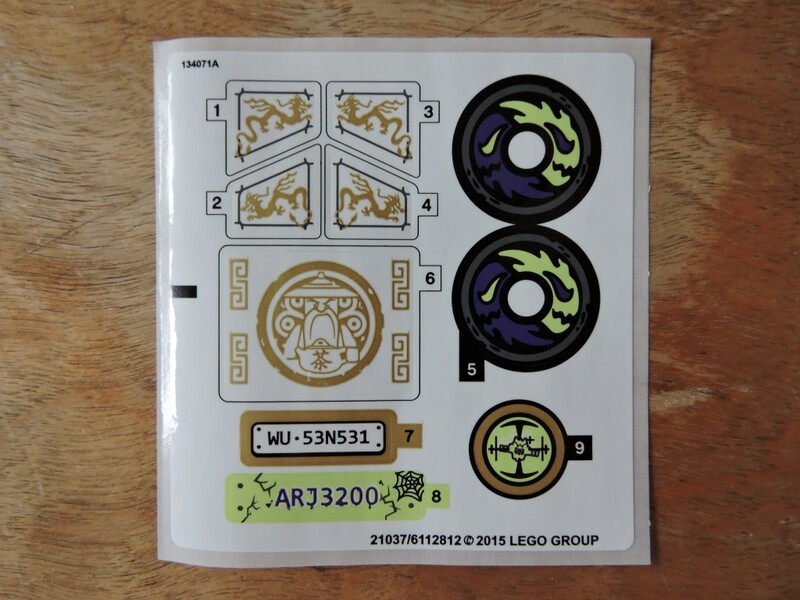 This Master Wu Dragon set stood out for a number of reasons: that white and gold dragon with a host of very Chinese design elements (look at the mustache), five minifigures (including one of those new ghosts), and nearly 600 pieces for $40. A ton of new sets came out this last weekend, but this is the only one that came home with me. I got that box open and laid out the contents. 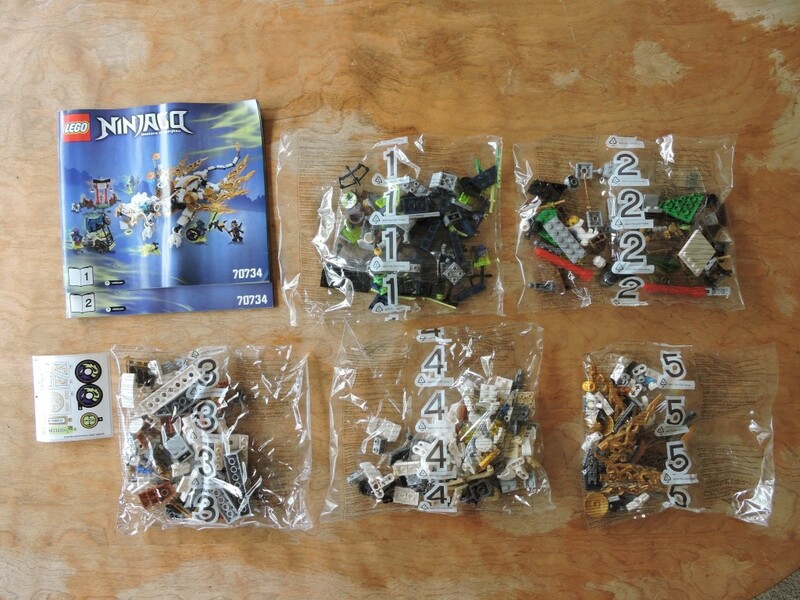 Already this set is punching above its weight, with two instruction booklets and five bags of elements. A nice mix of colors in there. The sticker sheet is pretty compact. I like some of the designs, but I’ll pass on actually using them. 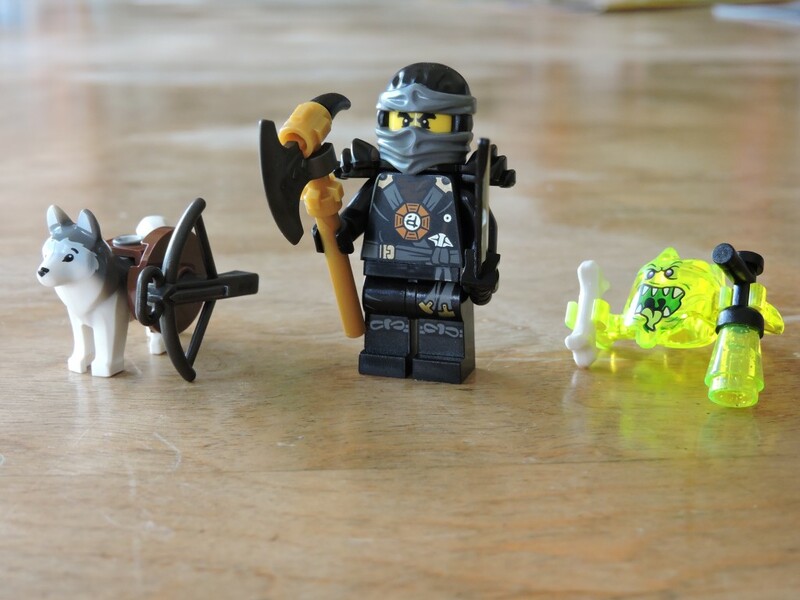 Bag one opens up with assembling the bad guys: Bow Master Soul Archer, Ghost Warrior Pitch, and Ghost Ninja Hackler. 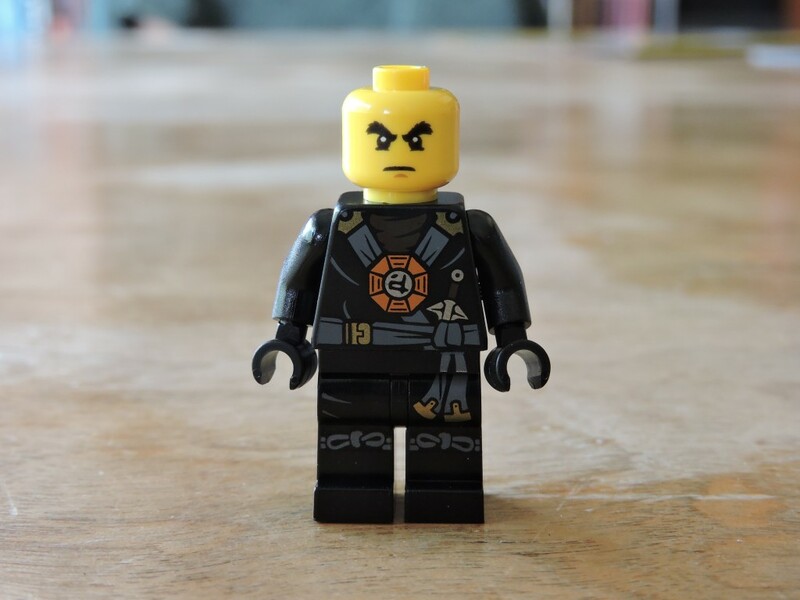 Lots of gorgeous minifig elements here, just screaming to get used in MOCs. I particularly like that multi-color ghost blade element. I really love the use of spring green, it really complements the dark colors. 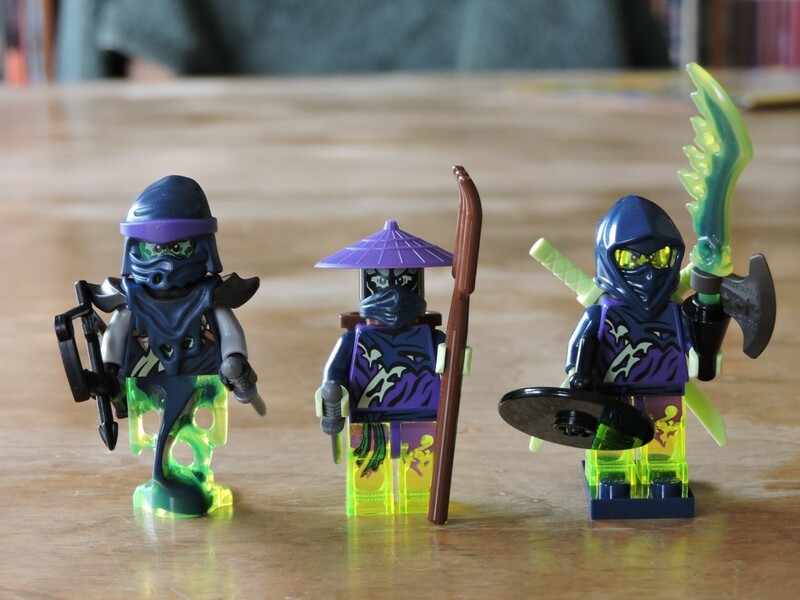 Check out the back of the Ghost Ninja’s cowl, molded from translucent neon green! Most of the cowls here are molded using a two color process, so no paint to rub off. 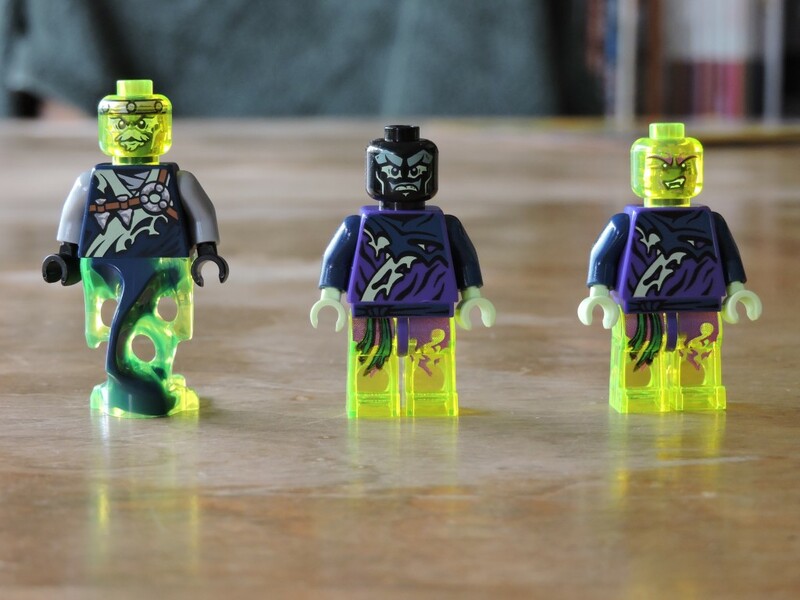 These three look great without all their gear. 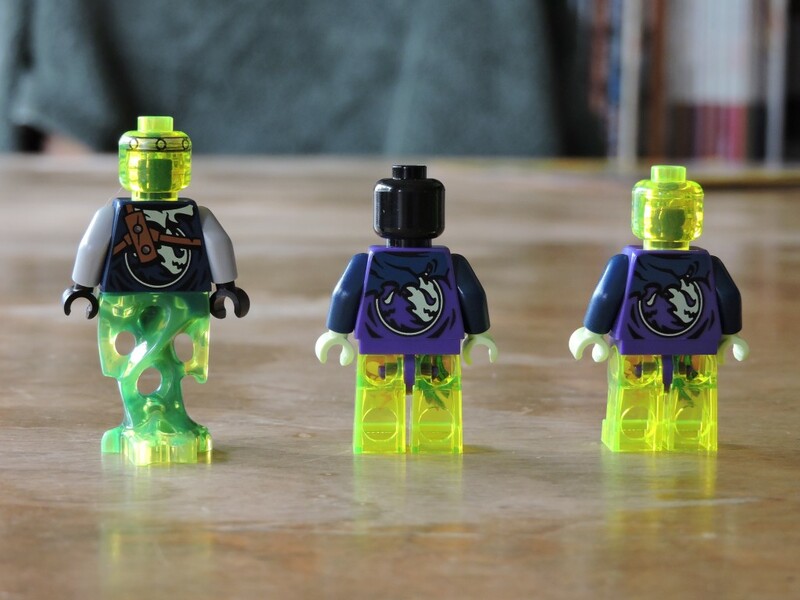 The ghost element for the archer is beautifully creepy and all three torsos (and the legs) have intricate printing of their tattered robes. 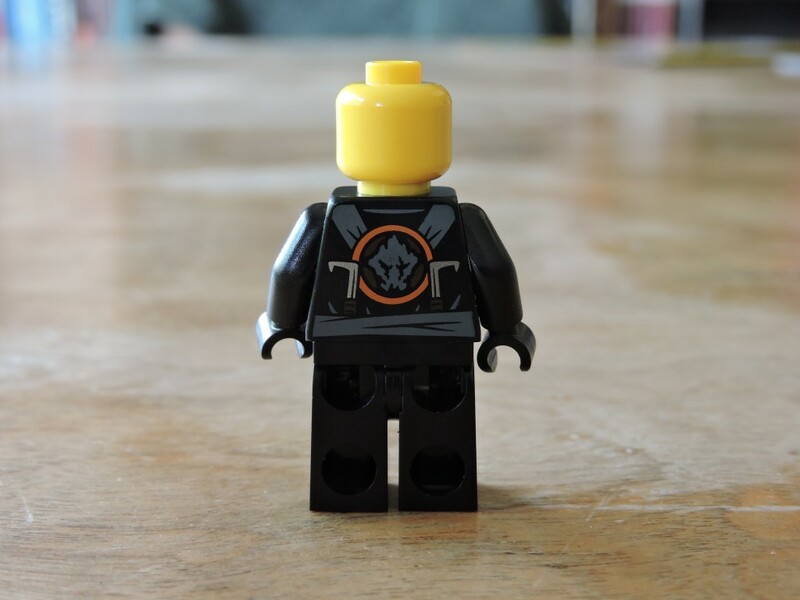 The back of each torso has the Ghost Army symbol, which resembles some kind of ghostly ying-yang. No alternate faces, but that isn’t too much of a loss. After such a side track, getting back to the model. 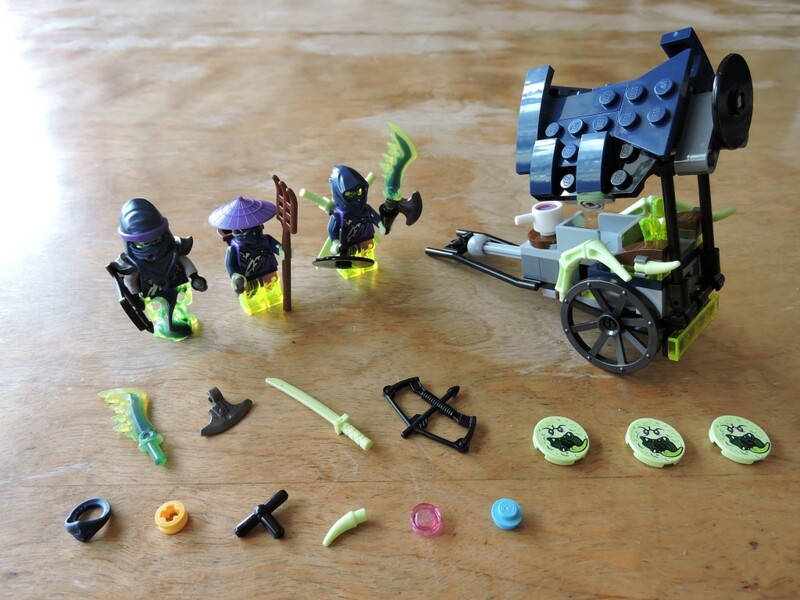 The first bag builds a strange little cart with a disc launcher (check out those awesome printed 2×2 round tiles). The cart seems to be some kind of possessed noodle cart, but it works great. In bag two we get to build the newest version of Cole, Sensei Wu’s dog (who apparently doesn’t get a name), and a Skreemer. 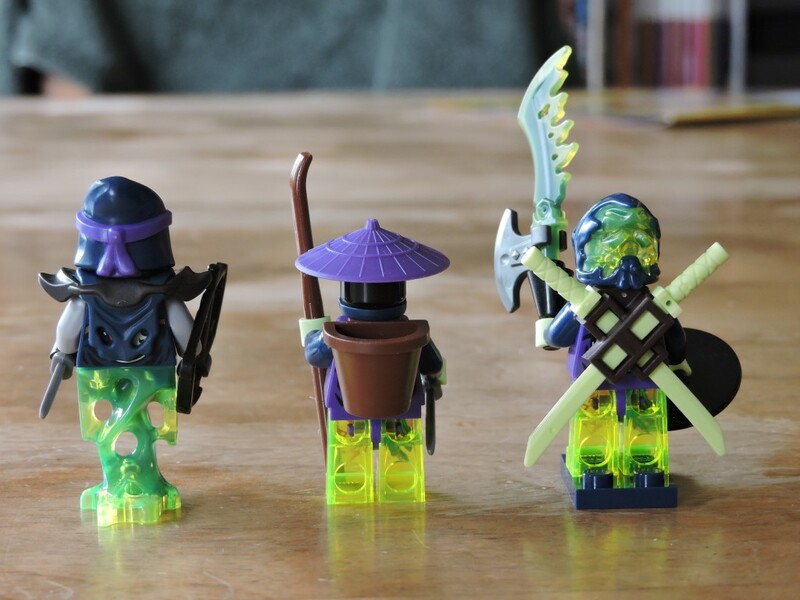 The Ninja are all clad in Deepstone armor this time around, for a dark look that goes with the theme. The husky is silly, but I’m glad to get one, since I’d passed on all the arctic sets. The Skreemer seems to be some goofy ghostlet. It is hard to see in the photo, but the 1×1 cone on the right has flecks of glitter in it. With all his gear gone, it is easier to enjoy the detailed printing of Cole’s Deepstone armor. His face isn’t anything to write home about, but it is normally hidden under his cowl. The torso has a nice back print as well. Still no alternate face, but considering that all we ever see are his eyes through the cowl, it isn’t too surprising. One of the features of the Skreemer is that it can be used as headgear. Perfect for ghost possession, the face print does a good job of obscuring whoever is underneath. The bag 2 build is a shrine for one of the Airblades (which apparently feature as the mystic weapons in this wave). There is a lot of great part usage in this model and I look forward to stealing some of those ideas for my own models. It is interesting that mixel joints are used to articulate the wall instead of hinges. It’s nice to see evolving design techniques. We don’t find man himself until the third bag. 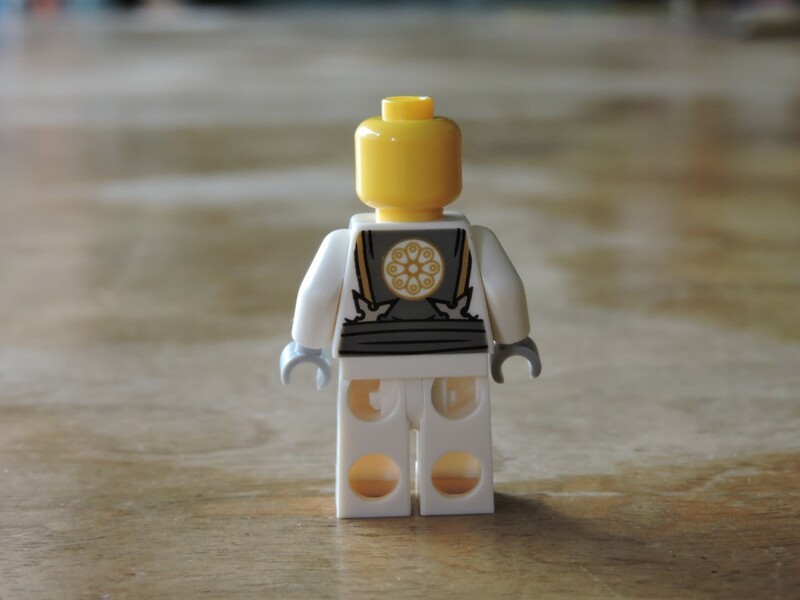 The minifig is simple but effective. 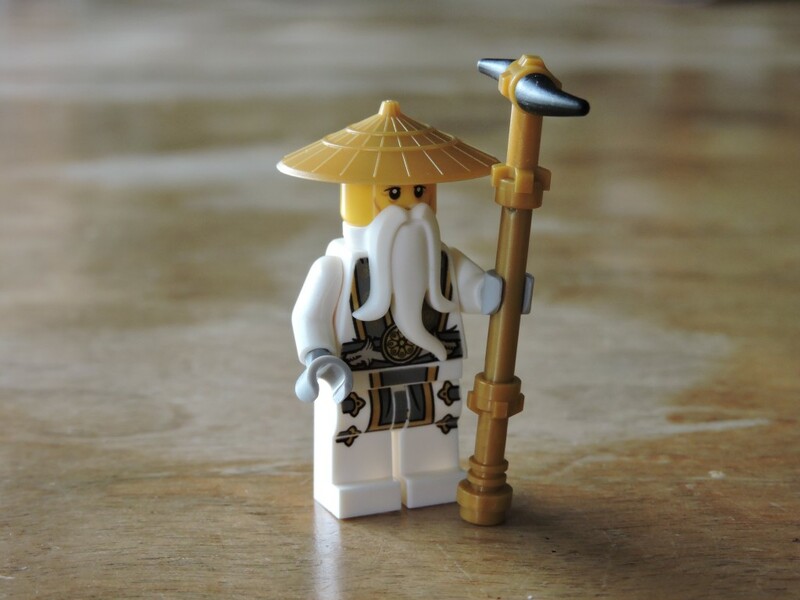 His weapon seems a bit ornate, considering that he usually just has a bamboo staff. Wu’s torso and legs are nicely printed. His face is great, with bushy white eyebrows and a mustache. The torso has a back print too. I like the throwing stars tucked into his belt. Crafty old Wu. 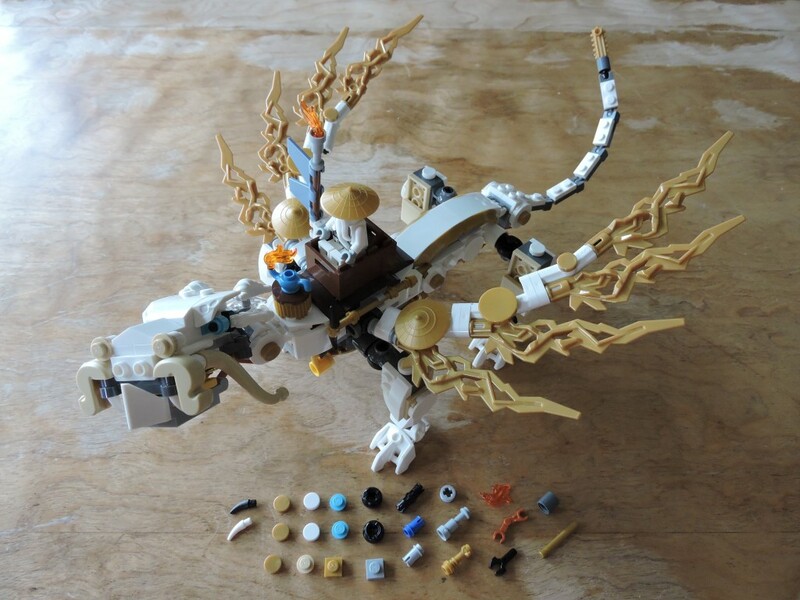 Wu’s Dragon gets built over the last three bags and it doesn’t disappoint. 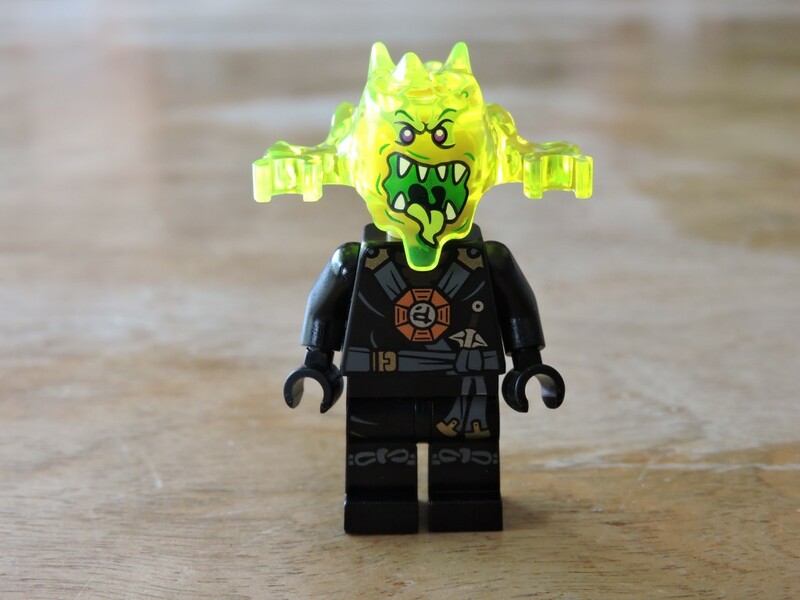 There is a lot of nice snot building and clever parts use. The resulting dragon is a great playable model with loads of swoosh appeal! My son was drooling by the time I finished the build, and my wife even commented that she’d like to build this one. 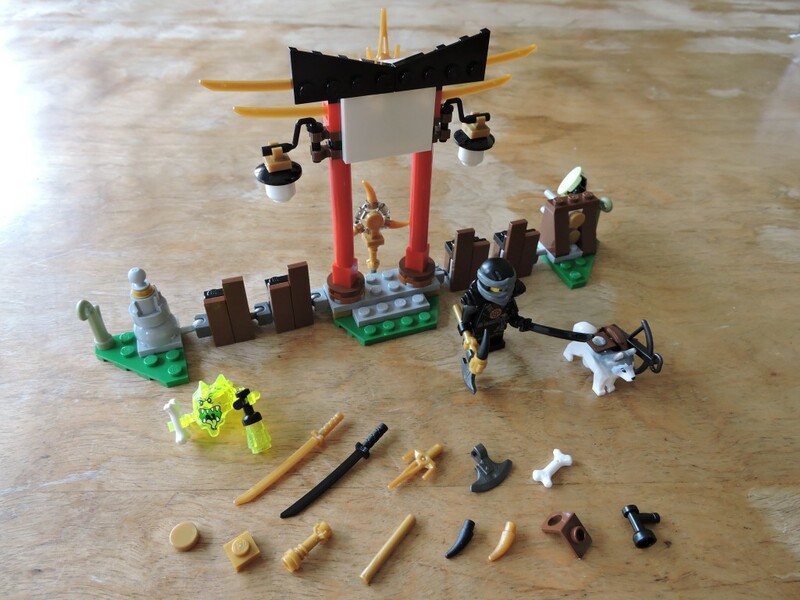 It’s worth noting right now how many extra elements are in this set. I got a total of 48 extras! That pushes the total up to 623 elements in a $40 set, driving the price per piece down to 6.4¢. That is hard to beat. The completed set is a lot of fun. 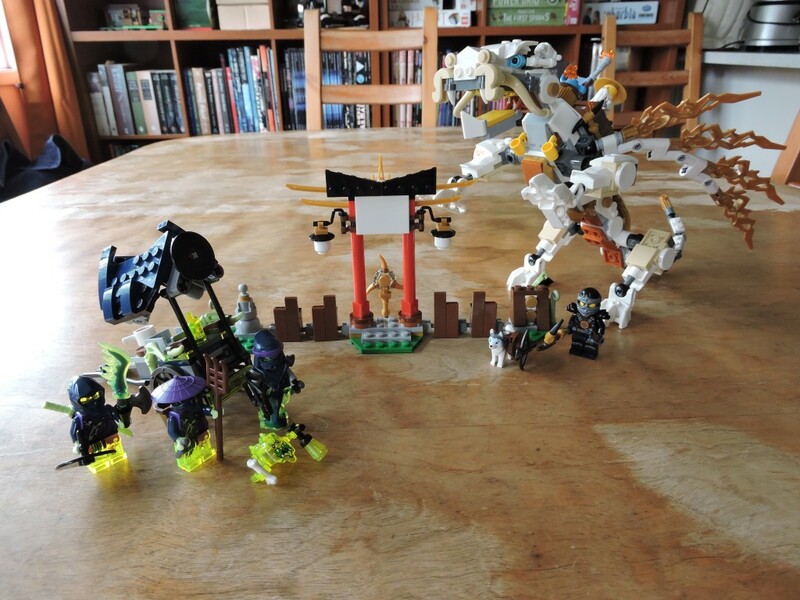 Three models and five minifigs with loads of appeal for play and design. I really can’t say enough nice things about this one. I’ve already started a campaign to get this one drafted at a LUG meeting in coming months. Do yourself a favor and pick this one up before they start disappearing. I suspect we’ll see some scarcity.